This is my rendition of a classic dish served at Plia’s Kitchen, a Hmong restaurant in Green Bay, Wisconsin. They serve wonderful South Asian cuisine. The widely-reputed silver bullet for curing a hangover, or just a late-night snack after an all-day bender, this mind-numbingly spicy recipe is a much-loved Chinese-inspired favorite in Thailand. My wife cannot tolerate anything remotely hot, which is a real shame. To compensate, I improvised this recipe by adding only a seeded jalapeño pepper. For the authentic version, you should use fresh hot Thai red chilis, crushed in a mortar. Thai holy basil is impossible to find in my area – if you are lucky enough to source or grow some, by all means use it — it has an unmistakable peppery, complex flavor that is all but absent in Thai sweet or lemon basil. Enjoy! Cut the chicken into small pieces (1/2” to 1”). In a medium-sized work bowl, combine the cornstarch, water, white pepper and dark soy sauce. Add the chicken and coat well. Set aside for one hour on your counter until it warms to room temperature. Prepare the rice flake noodles by soaking them in warm water for one hour. Drain, then add to boiling water and cook for 2 minutes. Time them so they are ready to add to the wok after draining. Prep the vegetables so you have them at hand. Combine the Shaoxing wine, oyster sauce, fish sauce, dark and Tamari soy sauce, Chinkiang vinegar, brown sugar and chicken stock in a small bowl. Mix and set aside. Heat a wok over high heat and add 2 tbs. canola oil, swirling to coat. The oil should start to smoke. Add the cut chicken pieces and stir with a long-handled Chinese metal spatula. Cook until seared on all sides, about three minutes. Quickly remove from the wok and set aside on a plate. Add the remaining canola oil and scrape up any bits stuck to the bottom of the wok. Add the crushed garlic, ginger and chilis or jalapeno, and the Laoganma black bean chili sauce. Stir-fry until fragrant, about a minute. Add the minced shallot and continue to stir for another one to two minutes. Add the bell pepper. Stir to sear the vegetables, and then add the sauce ingredients and the reserved chicken. Stir to coat. Drain and add the boiled rice flake noodles, the fresh basil and scallion. Stir well to coat the noodles and serve immediately. I stumbled on this recipe after a friend posted it on Facebook. I have adapted it from the original, featured on The New York Times. 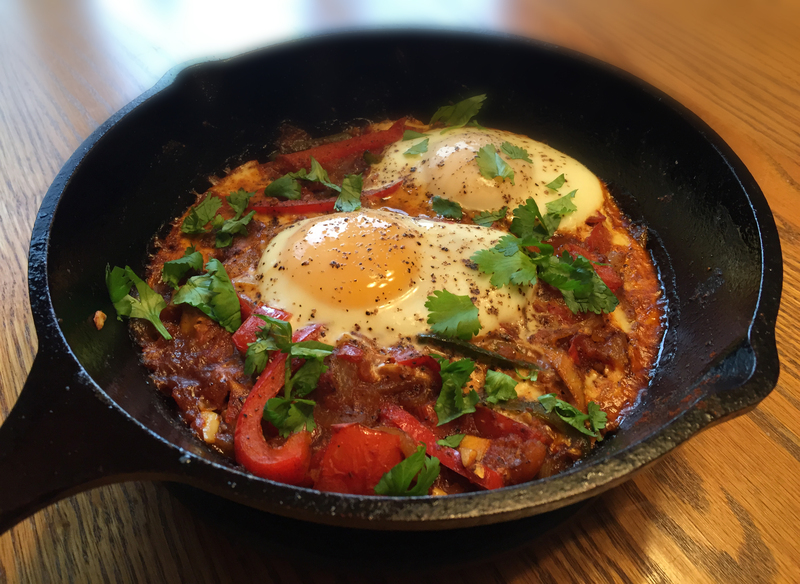 It is a recipe that originated in Tunisia, North Africa, and remains very popular in Israel, due to cultural ties from the early 1950s. 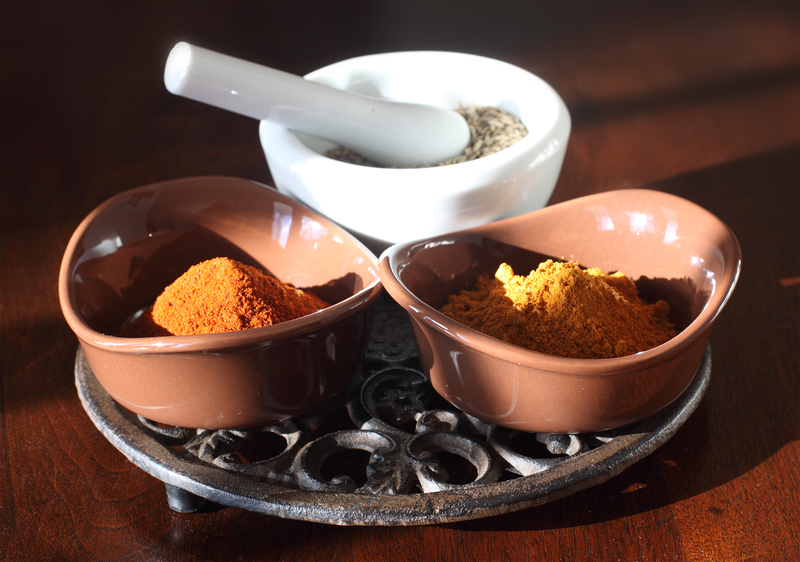 The incredible, mind-numbing heat from the Berbere spice takes center stage, so use it sparingly. I created this as a single-serving dish, as the rest of my family cannot tolerate the spice. Prepare it in a 5″ well-seasoned cast-iron skillet. Serve on a cold winter morning — it is incredibly satisfying. Enjoy! Prepare all of the ingredients and have them ready. Preheat your oven to 375°. 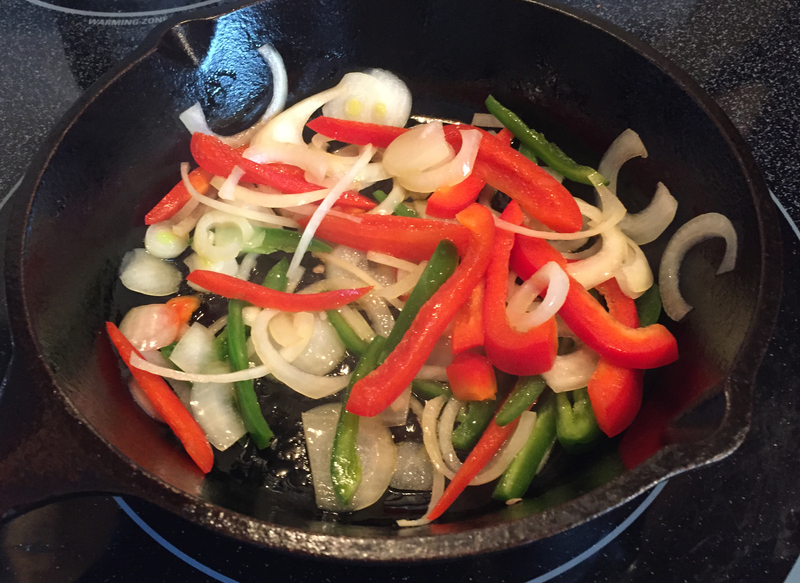 Using a 5″ cast-iron skillet, add two tablespoons of olive oil and saute the onion and pepper over medium heat, about 15 minutes. Lower the heat and add the minced garlic, taking care not to scorch it. Continue to saute for two minutes. Add the diced tomato, smoked paprika, berbere, ground cumin, salt and pepper, and continue to saute for about 3 minutes until reduced. Add the crumbled Feta cheese, then carefully crack two eggs and place on top. Season lightly with salt and pepper. Bake in the oven for about 10 minutes, until the eggs have set. Carefully remove and place on a trivet. Allow to cool for two minutes, add the chopped cilantro and serve in the skillet. Saute the onion and pepper in olive oil. Then add the minced garlic. This is a snack recipe that was widely circulated on a number of foodie websites. It appears to have originated from Hidden Valley’s website. After trying a revved-up sample from a friend who put her own kick on it, I’ll share my version. I cannot stop eating them. Whisk the canola oil, dressing mix and dry spice ingredients in a bowl until blended. Add the hot sauce to taste and stir well. Preheat your oven to 250° F. Pour the canola oil seasoning over the crackers in a larger mixing bowl and fold carefully until the crackers are well coated. Place evenly on a cookie sheet and warm in the oven for 15-20 minutes until just golden. Remove and serve. Rojo Diablo means Red Devil. After trying this version, I think you’ll agree. 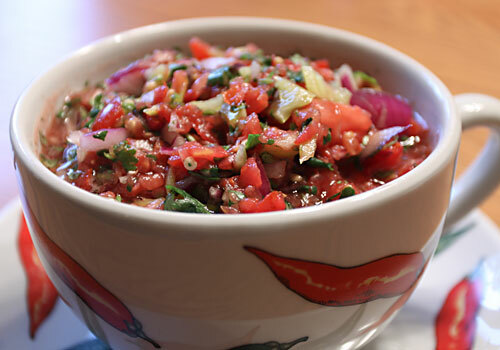 This is my most popular salsa; people are always asking for the recipe when I serve it. Roma or Beefmaster tomatoes are preferred. Fine chop the tomatoes and place in bowl. Add the fine chopped peppers and spices. Go easy on the salt, and taste often, keeping in mind that the ingredients will blend together over time – so do not overcompensate. Generally, the mix will become hotter if left to stand a bit. Mix well and let stand for 1/2 hour. If the water content of the tomatoes separates out in the bowl after a while, drain the salsa by placing it in a fine screen basket or colander and then place back into bowl. This is normal. The water content will vary with different types of tomatoes. Romas, on average, have the lowest water content ratio. Salsa is best if used within two days. If you must put it in the fridge after use, let it warm up to room temperature again before serving. Click here for my spicy smoked salsa roja recipe. 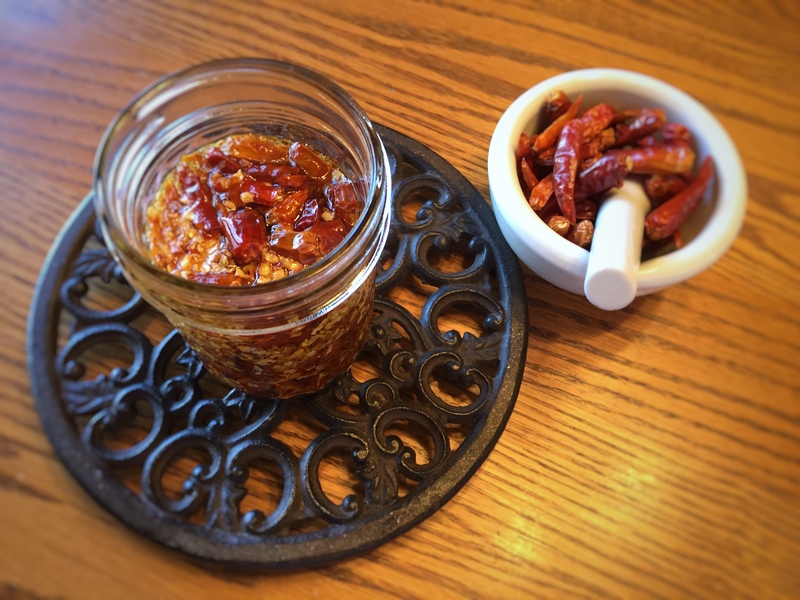 Make your own Szechuan chili oil using garden-grown dried Thai bird chilis. One of the things I love best about takeout Chinese food is the small condiment cup of fiery chili oil served with egg rolls. The spice-infused oil goes well with just about anything. 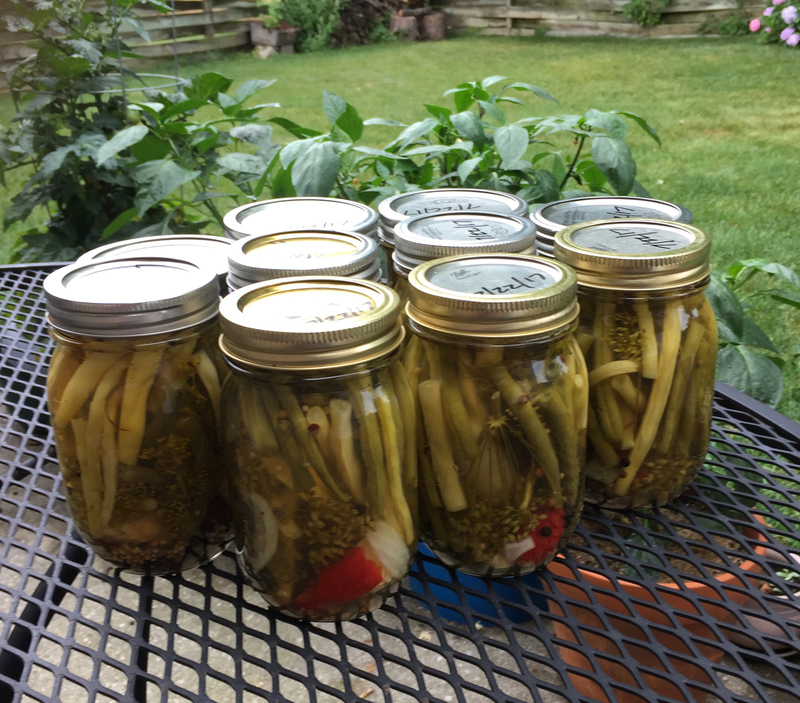 It is easy and economical to make your own in small quantities. Just be sure not to get your oil too hot and burn the chilis. Cut the stems off the chilis and ensure they are clean and free of dust, or other debris. Crush them in a mortar or use a food processor and pulse for about 10 seconds. Place the crushed chili in a glass jar with a tight fitting cover, large enough to hold 1/2 cup. Add the salt. Heat 1/2 cup peanut oil in a wok until it just starts to smoke. 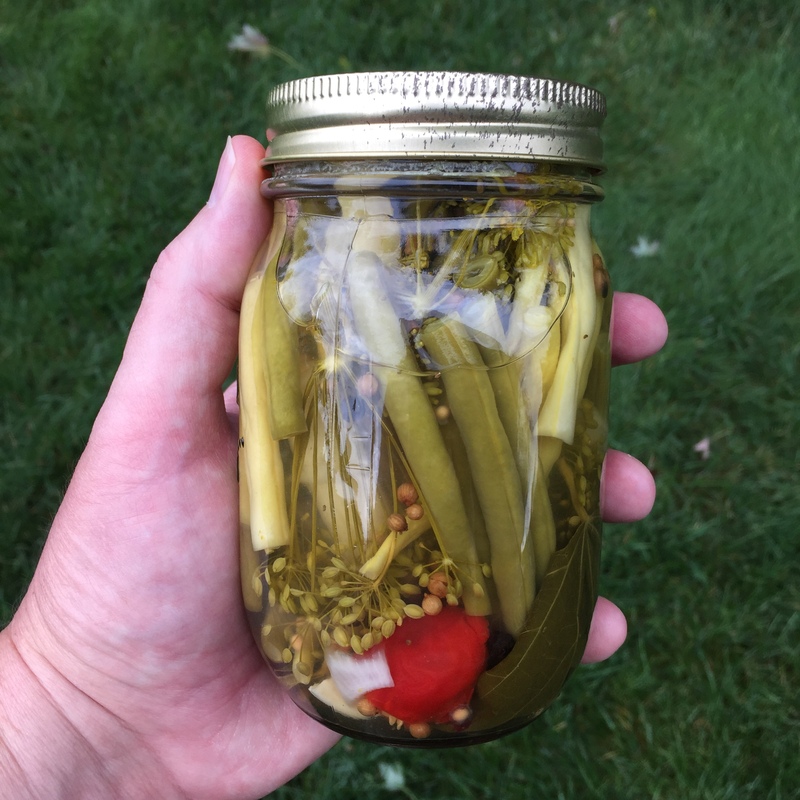 The temperature at this point will be about 300-320 degrees F. Remove from heat and let cool for three minutes, or until the temperature is between 225-240 degrees F. Pour over the chilies (add the optional spices if you like) and seal the jar. Let cool at room temperature for at least one hour, then place in your fridge. Will store for one month refrigerated. Great on spring rolls, egg rolls, dumplings or noodles. Makes 3/4 cup. Portion what you need and allow to warm up to room temperature before serving.